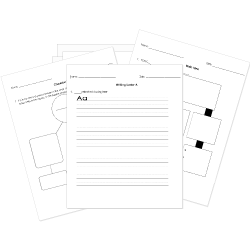 You can create printable tests and worksheets from these Grade 6 Adverbs questions! Select one or more questions using the checkboxes above each question. Then click the add selected questions to a test button before moving to another page. Sue completely understood the directions. Jim cut the grass yesterday. Find the superlative form of the adjective BAD. What is the adverb of frequency? Choose the correct form of the adverb in the parentheses. The game promised to be the (better, best) of the year. Reece has almost finished his guitar practice. For adverbs that end in -ly or have more than one syllable, use more to form the comparative and most to form the superlative. I arrived at the game (later, latest) than you. She noisily slurped her soup. The woman laughed continuously at the policeman. Choose the correct form of the adverb in parentheses. We played (more intelligently, most intelligently) than the Tigers.